Globacom Nigeria, known as the grand masters of data when it comes to providing Cheap and Affordable Data Bundles / Planes, has just boosted up their old data plans volume but still maintaining the same old affordable prices. I once made a post in this blog on how to get the Glo 4X bonus here. I know you have not forgotten the Glo 8X bonus. The new pocket-friendly data bundle, gives you 4GB for just N1000, 9.2GB for N2000, 12.5GB for N2500, 15GB for N3000 and more. 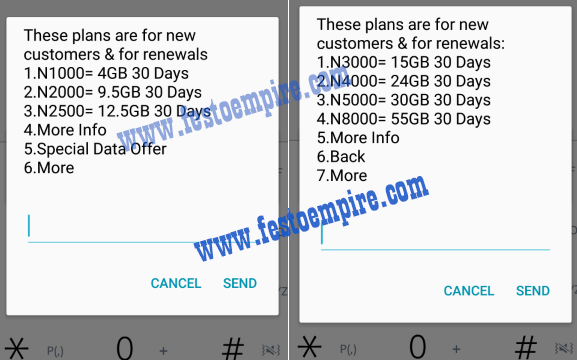 Available to new Glo customers and those who auto-renew their data before expiration. Please, don't enjoy this alone share this post with friends so the can enjoy with you.